Not all feedback is good, constructive or useful. Take control and be strategic about whom you listen to and what advice you take on board. Taking feedback is an active, strategic game not a passive, reactive game. 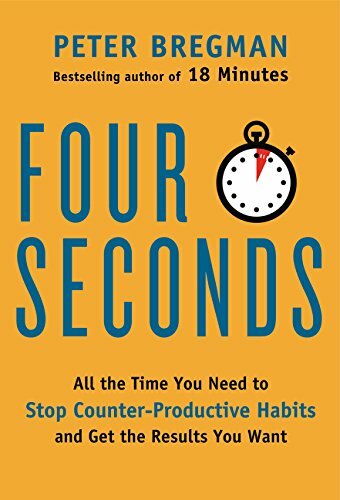 In his latest book Four Seconds, Peter Bregman explores some countercultural themes for getting things done. One idea that really struck a nerve with me is how often we look for feedback from the wrong people. His mum said ‘You don’t go to a hardware store looking for milk’. We often look for feedback from the wrong person, from the wrong perspective and at the wrong time as well. Listening to everyone, all the time, is not the key to thought leadership. Sometimes we look for feedback from the wrong people. I am not a big fan of constructive criticism, nor 360 degree feedback. These systems are based upon the assumption that everyone has a right to an opinion on you and your work. But if everyone was qualified to have an opinion on your work, shouldn’t they be the ones doing it? Bregman recounts the time he was working on a TEDx talk and the effect people’s suggestions had on his process. After countless revisions based upon the feedback of friends and colleagues, Bregman realised that he had lost his own voice in amongst a swathe of good advice. So he put that draft aside, and started again. Crowdsourcing is a legitimate strategy for problem solving, but only in the right contexts. For example, studies have shown that by taking the average of hundreds or thousands of guesses, the crowd can very accurately guess “the number of jelly beans in the jar”. There are times where the average is the optimum solution. Thought leadership is not an example of such a problem. We’re not seeking average ideas, we’re seeking ideas that challenge and stretch the status quo, and you won’t achieve that by spouting back at the crowd something they already think. Sometimes, a great idea needs to be insulated from the crowd think. Sometimes, a great idea needs to be insulated from the crowd think. So how do we decide what to do with the opinions of others? How do we know when, what and who to listen to? Are they qualified to have an opinion? 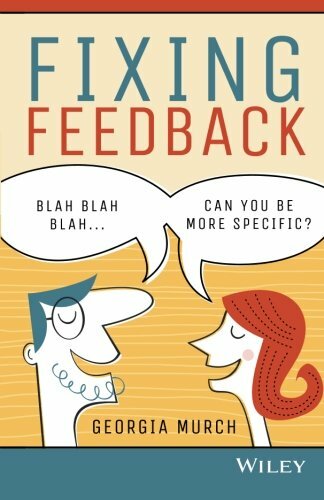 If the feedback was unsolicited and the giver doesn’t have the expertise to hold that opinion, it’s Noise. You should ignore it. You have little to gain and much to lose by investing effort in responding to this kind of feedback. It is more likely to detract from your work than improve it, and highly likely to derail your energy and motivation. Your thought leadership deserves to be held at arms length from the well-meaning interference of people whose major claim to fame is that they have an opinion. These people are often the most vocal and most passionate in their unasked for opinion. It’s vital to learn how to shut this out. If the feedback is unsolicited but the person has some expertise on the matter, then it’s an Opinion, and worth considering. A failure to follow good etiquette in asking if you wanted an opinion should not make you instantly discount it. There are great opportunities to learn from experts around us, and someone may have noticed an area for you to improve that you weren’t even aware of. Great! You may decide to take their feedback on board. Equally, you may decide not to follow it, or that it’s not the right feedback for the time. You are completely within your rights to choose what you do with this feedback. If the feedback is solicited but the person is not super qualified to hold the opinion, that’s ok. It’s Data. Just be aware that you are simply gathering information. It’s a poll, a survey, a simple data collection point. Don't let this kind of feedback directly influence your great work. What it’s doing is giving you more information, which you can then use to make your decision. You’re looking for trends in the data rather than reading into individual responses. Prepare for these opinions with a conscious filtering process. We have experts for a reason, and some pieces of work are not suited to a general mindset. Get enough advice to improve your work, and not so much that it paralyses you from acting. If the feedback is solicited and the person is qualified to give it, it’s Advice. In most cases, you’re going to act on this. It’s likely that it will improve your project, or finetune the details of what you’re trying to communicate. Everyone should have a group of trusted advisors. Note though, that there’s still a limit to how much is useful. Get enough advice to improve your work, and not so much that it paralyses you from acting. Sometimes we look for feedback from the wrong perspective. Imagine we experience feedback as we experience driving a car. You can use the rear-view mirror to see what’s happening behind you, or the windscreen to see what’s happening in front. I reckon the balance between the two is proportional to the actual size of each. When you drive you spend a little time looking back and a lot of time looking forward. This ratio is useful to remember when seeking out feedback for yourself. Instead of the approach ‘Let’s talk about what did not work', why not ask the question, ‘If we are faced with this situation again, what would you change?' When you step back through the history, people are more likely to take it personally and get offended. The conversation can often degenerate into a defence of past decisions made. However, when you focus on the future, people get to move into a creative space. The feedback suddenly become about inventing tomorrow instead of justifying yesterday. Have you ever been driving behind someone slow, who is oblivious to the build up of frustrated traffic behind them? By failing to look in their rear-view mirror, they haven’t noticed what's going on and are not able to resolve the situation. Equally, you don’t pull out into traffic without checking your mirror to see what’s behind you. You look backwards first, get the information you need, and then look forwards and drive on. You still need to look at your past. Just don't make it the only way you manage or handle feedback. You still need to look at your past. Just don't make it the only way you manage or handle feedback. One of the exercises we use at Thought Leaders Business School is the ‘Pre-mortem’. You imagine yourself at the end of the project you’re embarking on, and you imagine it all went wrong. It’s exercising hindsight in foresight. This gives you the ability to work through these problems before they’ve even happened. When seeking feedback, you’re actually seeking hindsight in advance, from someone else’s perspective. This can be a really useful tool. Sometimes we look for feedback at the wrong time. The amount and type of feedback that we want varies enormously depending on what stage of an idea we’re on. Getting the wrong type of feedback at the wrong time can slow down, stunt, or even completely shut down a project. Therefore, it’s useful to consciously plan out when you’re going to seek and accept feedback, and of what type. Here’s a timeline that will give you a good starting point. The purpose of this stage is to sound out a new idea. You need to find out whether people are excited by it, and whether it has a decent chance of succeeding. Negative feedback at this stage may be disheartening, but remember, it’s far better to find out the weaknesses of an idea now than down the track when you’re launching. Be comfortable discussing the concept broadly and getting input from a range of sources. You may find that your idea becomes strengthened by robust discussion and by your repeated retelling of it. Too much well intentioned advice too early and you lose your momentum. You’ve got all the input you needed in the previous stage. You’ve found out whether the idea, at a basic level, is likely to succeed. Now is the time to let your brain sort through the content, and decide what to do with it. Continuing to bounce your idea off anyone and everyone will just get you confused. Trust yourself to make your idea great from here. There is no room for doubt when you’re launching an idea, so it’s important not to accept critical feedback at this stage. It cannot serve you in the moment. Too much negative feedback at this stage can induce paralysis, making you afraid of taking the actions to get the idea off the ground. The only feedback that’s useful is feedback that helps you to deliver your idea better. You need to know how to get your idea out there, so seek out sources that can help you do this. At this stage we’ve delivered our idea, and it’s now useful to find out how we could do it better next time. Being open to critical feedback here is useful to future projects, so be prepared to seek some out. Still remain clear though, on where this feedback should be targeted. We’re only interested in feedback that will improve our ideas and delivery going forwards. As a thought leader, you cannot afford to be at the mercy of those who want to give you feedback. Always remember that you are in control of what type of feedback you receive, who you receive it from, and at what time. By wisely shaping the feedback that comes your way, you’ll not only create better ideas, but also maintain your own confidence and motivation.